Watson-North Funeral Home is honored to be of service and ministry to the family of Mabel Ann Bagby, age 95 of Winchester. Mrs. Bagby passed from this life on March 25, 2019 at Southern Tennessee Regional Health System in Winchester. She and her husband made their home in Winchester for the past 32 years following her retirement from Nabisco in Chicago, IL. 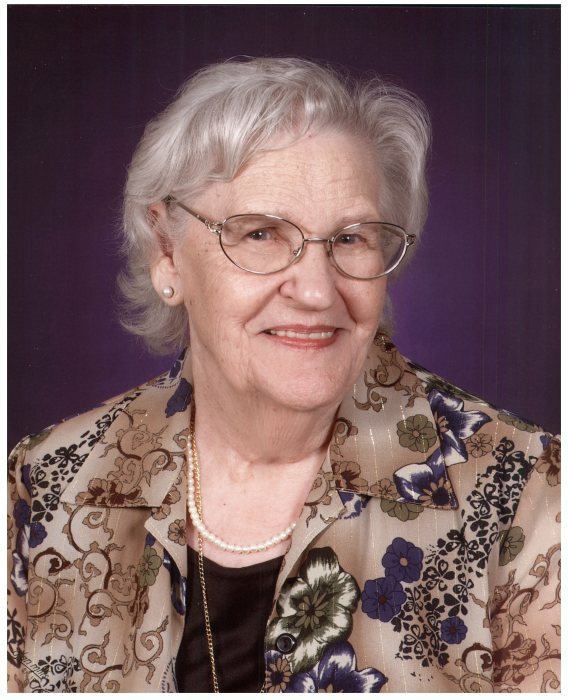 She was a member of the First Baptist Church in Decherd and was a very talented quilt maker, having blessed many friends with the gift of her quilts over the years. Mrs. Bagby is preceded in death by her husband of 59 years, Coy Bagby; daughter, Cheryl Farmer; son William Grider; 3 sisters and 2 brothers. She is survived by her sons, James Wesley (Patricia) Grider and Gary Arthur (Melody) Grider both of IN; step daughter, Brenda Melcher of IL; sister, Alice Benjamin of FL. The family will receive friends at Watson-North Funeral Home on Friday March 30 between the hours of 11 a.m. and 1 p.m. with the funeral service to follow at 1 p.m. Interment will be at Franklin Memorial Gardens with friends and family serving as pallbearers. Online condolences may be sent to www.watsonnorth.com.